The Xiamen Gulangyu Linshifu Gongguan Hotel is located on Gulangyu Island, 6 km from downtown Xiamen. 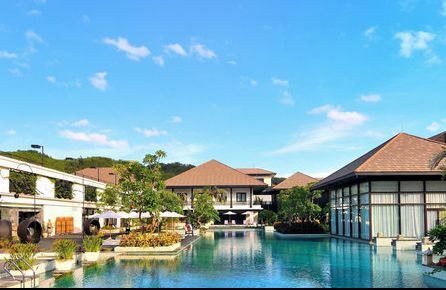 The beautiful coastal hotel is situated steps from the shores of the South China Sea, and near many attractions such as Qinyuan Garden, Yanwei Mountain, and Xiamen Museum. Xiamen Gulangyu Linshifu Gongguan Hotel has 58 bright and spacious guest rooms featuring classic décor and elegant furnishings. Each comfortable room comes equipped with a private bathroom, air conditioning, desk, free LAN internet access, and complimentary bottled water and newspaper. Xiamen Gulangyu Linshifu Gongguan Hotel features a number of superior amenities for guests to enjoy, including meeting facilities, laundry service, Wi-Fi in public areas, concierge, and a restaurant serving regional cuisine with available room service. Xiamen Gulangyu Linshifu Gongguan Hotel in Xiamen! 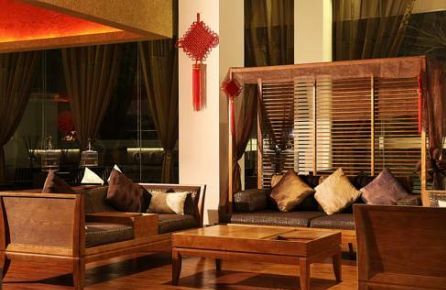 The Xiamen Warmness Seaview Hotel is located on the coast of the South China Sea in the beautiful city of Xiamen. The hotel is situated just 7 km from downtown, making it the perfect place to explore all the city has to offer. Nearby attractions include Taiwan Filk Village, Huli Hill Fort, and the Yun Ding Yan Temple. Xiamen Warmness Seaview Hotel has 23 comfortable and spacious guest rooms, each featuring an in-room safe, kitchenette, sitting area, bathroom with separate shower and bathtub, and free wireless internet access. Guests of the Xiamen Warmness Seaview Hotel are encouraged to take advantage of the hotel's professional services and various amenities, including babysitting, guided tours, gift shops, laundry service, local shuttle, airport transfer, and concierge. The hotel also features a relaxing café, full-service bar with cocktails, and a restaurant serving delicious regional cuisine with available 24-hour room service. Xiamen Warmness Seaview Hotel in Xiamen! The Xiamen Yo Yo Heights Hotel is located in the Si Ming District of Xiamen, just 6 km from the busy downtown core, where a number of the most popular restaurants, shops, and nightclubs are situated. The hotel is near a variety of local attractions, including Huli Hill Fort, Taiwan Folk Village, and Nanputuo Temple. 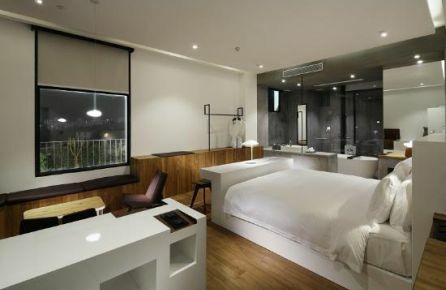 Xiamen Yo Yo Heights Hotel has 17 bright and spacious guest rooms featuring large windows and elegant contemporary décor. Each comfortable room comes equipped with a private bathroom with shower, sitting area, refrigerator, and free wireless internet access. Guests of the Xiamen Yo Yo Heights Hotel are welcome to enjoy all the fine facilities and services the hotel has to offer, and the professional and friendly staff are always ready to assist. Xiamen Yo Yo Heights Hotel in Xiamen! The Xiamen Smart Hero Club is located in the vibrant coastal city of Xiamen, 5 km from the popular shops and restaurants in the downtown area. The hotel is situated close to a variety of local attractions, including the Buddhist Temple, Conifer Garden, and Xian Yue Park. 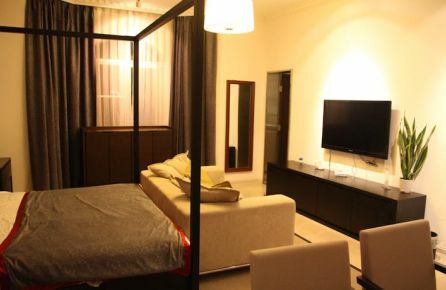 Xiamen Smart Hero Club has 20 comfortable and spacious guest rooms, featuring elegant modern décor and furnishings. 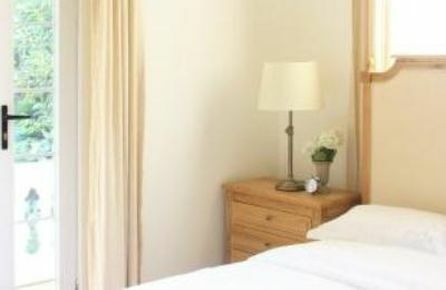 Each room comes equipped with a private bathroom, sitting area, LCD TV, and free wireless internet access. The Xiamen Smart Hero Club boasts an incredible variety of services and facilities, such as an outdoor swimming pool with poolside bar, fitness center, laundry service, business center, tennis courts, relaxing sauna, spa with beauty treatments, and concierge. The hotel also offers a café, full-service bar, and a restaurant serving gourmet regional and international cuisine with available 24-hour room service. Xiamen Smart Hero Club in Xiamen! The Xiamen Gulangyu Flower House is located on Gulangyu Island, 8 km from downtown Xiamen. The hotel is situated within walking distance from the shores of the South China Sea, and near many attractions such as Shuzhang Garden, Qinyuan Garden, Yanwei Mountain, and Xiamen Museum. 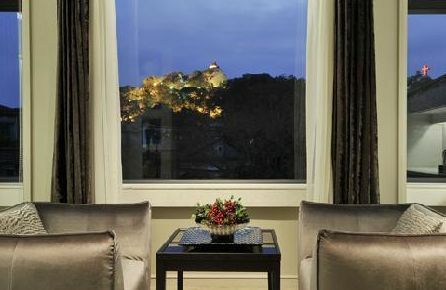 Xiamen Gulangyu Flower House has 10 bright and spacious guest rooms featuring classic décor and elegant furnishings. Each comfortable room comes equipped with a private bathroom, sitting area, desk, LCD TV, and free wireless internet access. Guests of the Xiamen Gulangyu Flower House will appreciate the professional and attentive staff, and enjoy the hotel's superior services and amenities, including guided tours of local sites, a relaxing coffee shop, concierge service, and Wi-Fi in all public areas. Xiamen Gulangyu Flower House in Xiamen! The newly built Xiamen Hotel WIND is conveniently located in the bustling coastal city of Xiamen, 10 km from both the popular downtown area and the airport. The hotel is situated near a variety of local attractions, including the Yun Ding Yan Temple, Taiwan Folk Village, and Jin Bang Park. 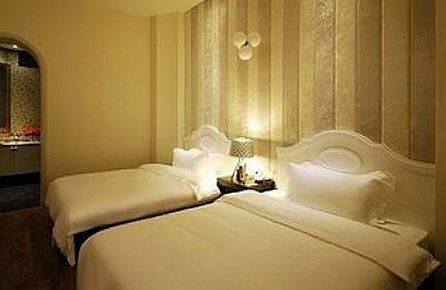 Xiamen Hotel WIND has 43 bright and spacious guest rooms, featuring simple décor and modern furnishings. Each comfortable room comes equipped with a private bathroom, bathrobes, microwave, air conditioning, LCD TV with DVD player, and free wireless internet access. Guests are encouraged to take advantage of the hotels excellent services and amenities, including babysitting, laundry service, fitness center, spa with massage services, sauna, bicycle rental, common lounge, guided tours, and concierge. The hotel also offers a café, full-service bar, and a restaurant serving gourmet regional and international cuisine with available 24-hour room service. Xiamen Hotel Wind in Xiamen! The Xiamen Naza Hotel is located on Gulangyu Island, 6 km from downtown Xiamen. The hotel is steps from the shores of the South China Sea, and near many attractions such as Shuzhang Garden, Qinyuan Garden, Yanwei Mountain, and Xiamen Museum. 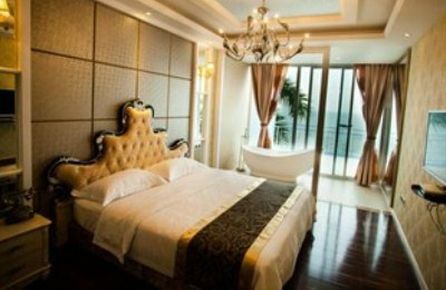 Xiamen Naza Hotel has 8 bright and spacious guest rooms featuring classic décor, elegant furnishings, and hardwood floors. Each comfortable room comes equipped with a private bathroom, sitting area, desk, LCD TV, and free wireless internet access. Guests of the Xiamen Naza Hotel will appreciate the professional and attentive staff, and enjoy the hotel's superior services and amenities, including peaceful courtyard with beautiful gardens, a relaxing coffee shop, concierge service, and Wi-Fi in all public areas. The hotel also offers a full-service bar and restaurant serving gourmet regional cuisine with available room service. Xiamen Naza Hotel in Xiamen! The Xiamen Gulangyu Wooden Sweet House Villa Hotel is located 6 km from downtown Xiamen on Gulangyu Island. The hotel is steps from the shores of the South China Sea, and near many attractions such as Shuzhang Garden, Qinyuan Garden, Yanwei Mountain, and Xiamen Museum. 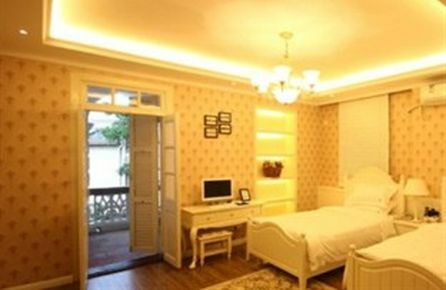 Xiamen Gulangyu Wooden Sweet House Villa Hotel has 16 bright and spacious guest rooms featuring classic décor, elegant furnishings, and hardwood floors. Each comfortable room comes equipped with sitting area, desk, LCD TV, and free wireless internet access. 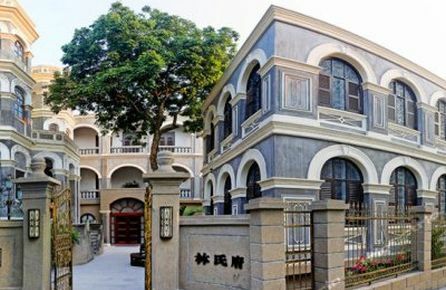 Guests of the Xiamen Gulangyu Wooden Sweet House Villa Hotel will appreciate the hotel's excellent services and amenities, including peaceful courtyard with beautiful gardens, laundry service, concierge service, and Wi-Fi in all public areas. The hotel also offers a restaurant serving delicious regional cuisine with available room service. Xiamen Gulangyu Wooden Sweet House Villa Hotel in Xiamen! The Xiamen Flowertone Boutique Hotel is located in the Si Ming District of the coastal city of Xiamen, 6 km from the heart of the downtown core, where the city's most popular restaurants, shops, and bars are located. The hotel is situated near a variety of local attractions, including Yun Ding Yan Temple, Conifer Garden, and Xian Yue Park. Xiamen Flowertone Boutique Hotel has 79 bright and spacious guest rooms, featuring hardwood floors and beautiful contemporary décor. Each room comes equipped with a private bathroom, LCD TV with satellite, sitting area, desk, and complimentary wireless internet access. Guests of the Xiamen Flowertone Boutique Hotel are encouraged to take advantage of the hotel's superior services and facilities, including a business center, meeting facilities, common lounge, airport transfer, laundry service, spa with massage sessions, sauna, and concierge. Xiamen Flowertone Boutique Hotel in Xiamen! The Xiamen Gulangyu Judy's Inn is located on scenic Gulangyu Island, 7 km from the vibrant downtown of Xiamen. The hotel is situated within walking distance from the shores of the South China Sea, and near many attractions such as Shuzhang Garden, Qinyuan Garden, Yanwei Mountain, and Xiamen Museum. Xiamen Gulangyu Judy's Inn has 10 bright and spacious guest rooms featuring classic décor and elegant furnishings. Each comfortable room comes equipped with a private bathroom, sitting area, desk, LCD TV, and free wireless internet access. Guests of the Xiamen Gulangyu Judy's Inn will appreciate the professional and attentive staff, and enjoy the hotel's superior services and amenities, including laundry service, a relaxing coffee shop, concierge service, and Wi-Fi in all public areas. The hotel also has a full-service bar offering delicious cocktails, and a restaurant with outdoor dining and available room service. Xiamen Gulangyu Judy's Inn in Xiamen!